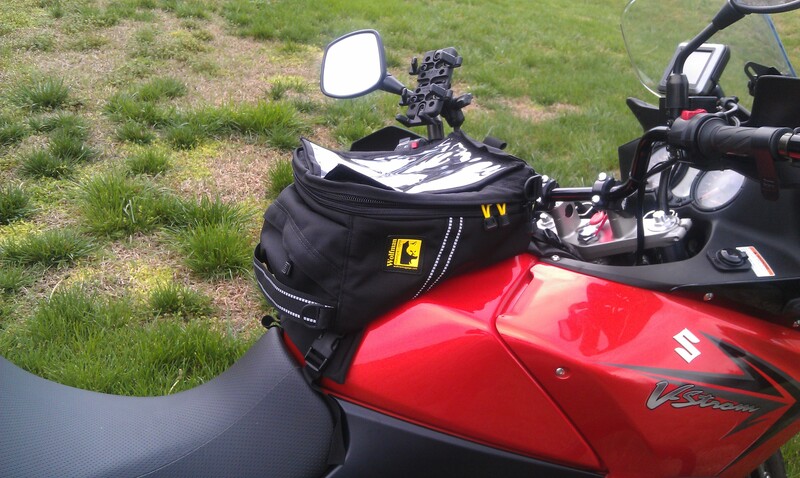 Added the Explorer Lite Tank Bag that seems to be just the right fit for the V-Strom – came with a universal mounting strap that was easily fitted. Road the Natchez Trace over the weekend and the clear map holder came in handy riding down to Lawrenceberg TN for lunch. Great spot to keep those items you need quickly and use most often! This entry was posted in Motorcycle & Equipment, Rally Around the World and tagged Explorer Lite, Tank Bag, Wolfman by rallyaroundtheworld. Bookmark the permalink.